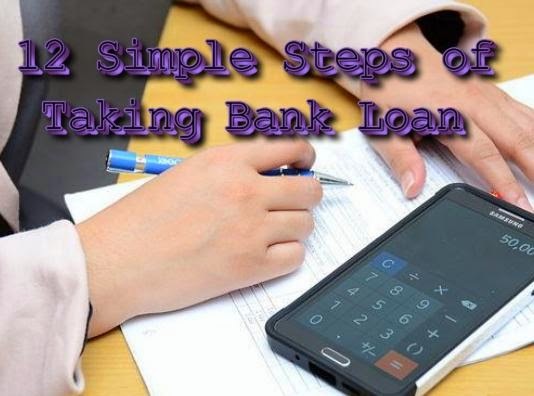 As the finance student, you should know the steps of giving loan by bank without any physical security. This is very difficult for bank to give loan without physical security. But still bank gives this loan by taking risk and promote the business. For reducing his risk, bank has some rule and regulations which are known banks procedures and formalities for getting loan which any customer has to fulfill. First of all, bank manager asks the total amount which any customer needs in the form of loan. It may be Rs. 1,00,000 or Rs. 10,00,000. Bank will get the identity and address proof's attested photocopies. This is second step in which bank will check bank account position of customer. If a customer is taking the loan of Rs. 10,00,000 but bank balance is very low which is the proof that customer has not stable source of earning. So, it is impossible for customer to return the loan. Minimum 20% of total loan will help bank to go to next step. But it is not compulsory. If customer is taking commercial loan. At that time, bank can give loan without seeing this as consideration if it think, customer is honest. This is compulsory. If customer will not return loan in future. Bank will write his receivable amount from customer and send it for collection. If there is no amount in the bank account. Cheque will bounce. For this punishment, customer can go to jail for 2 years. Bank gives unsecured loan to those customer who files the return of income tax. If he pays income tax, it is good. Only good citizen of India has the right to get loan from bank. Bank will happy to give loan to such customers. Bank will give unsecured loan on the basis of personal guarantee. If customer will not pay bank's debt, bank will collect his money from guarantor. It is also necessary for identification of real person. Still bank is not properties as security but bank can claim on the property if bank is unable to get loan from other way. So, to give photocopy of properties is necessary. Bank manager will go physically to the customer's house and get witness of his Neighbors. Whether house is his own or not. If house is not his own. He will not get loan from bank. Bank will check his other physical asset. It may be gold if he has not any house or commercial place. Bank will also verify the use of bank loan. Bank will not give loan for gambling or doing share market business. It is so risky. Bank will give loan for minimum risky business. Customer has to give his written declaration. Just write and confirm through signature on stamp paper, " I am accepting banks all rules and regulations for getting loan." Bank will get fees of Rs. 500 and after satisfaction from above steps, bank will give bank draft of his bank loan to customer. Now, customer has to use and return bank loan and its interest in monthly installments. For making your learning enjoyable, we have taught above steps through playing small drama video. Hope, you will like it and enjoy above learning.